Women’s healthcare is under assault once again. Susan G. Komen for the Cure is pulling all funding for Planned Parenthood, an outrageous decision that threatens women’s access to vital health services. But what’s particularly concerning is this funding cut will impact underserved communities most. Click here to sign our petition to Susan G. Komen for the Cure demanding they put women’s health before politics. Breast Cancer Action is committed to addressing the social inequities of breast cancer. We are particularly outraged that the funding cuts to Planned Parenthood will primarily affect women without health insurance and low income women, disproportionately women of color. Planned Parenthood provides vital health services including screening, clinical exams, referrals for ultrasounds and biopsies, and breast health education, often to women who do not otherwise have access to healthcare. One in 6 women of reproductive age get their healthcare through Planned Parenthood. We believe all women should have access to the same healthcare. The care a woman receives should not be based on the type of insurance or financial resources that she has or does not have access to—or political agendas. Women’s health is women’s health, period. We insist on our rights as women to be in control of our medical decisions and choices without regard to politics, corporate interest, or the agendas of others. 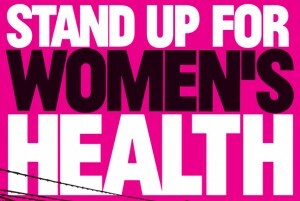 Organizations that are truly committed to women’s health must put women’s health before politics. We stand with Planned Parenthood in our shared commitment to putting women’s health first. Thank you for your continued support on these important actions that make a difference in women’s lives. Pulling support for planned parenthood is a crass move to keep the money flowing from anti choice big spenders. More women die of lung cancer than breast cancer and ovarian cancer combined. What is the anti choice interest in breast cancer anyway. What a shame. How did this happen? It is with sadness and dis-belief that I find myself writing such a letter to the Susan B Komen (SBK) Breast Cancer Foundation upon hearing of their no longer funding Planned Parenthood Services. I worked alongside staff and representatives of the SBK Breast Cancer Foundation, San Francisco office on “Art.Rage.Us”- the Art and Writing of Women Living with Breast Cancer. As you know that project grew out of “Healing Legacies” and was further developed into “Art.Rage.Us” through the initial commitment and dedication of Founding Director, Andrea Martin of the Breast Cancer Fund, along with Susan Claymon, Founding Director, Breast Cancer Action. It was through Andrea that the Susan B. Komen Breast Cancer Foundation and American Cancer Society San Francisco/ Bay Area joined in the collaborative sponsorship of this program. Many of us, all women living with and/or survivors of breast cancer worked together to bring forth greater awareness of the impact of breast cancer and included a commitment to outreach to low income areas and a diverse population of women to ensure their participation and voice was heard. The Breast Cancer Fund continued this effort to ensure women of color and low -income women obtained services, particularly prevention -oriented services. Andrea and Susan died from the progression of this disease. I feel compelled to honor them through speaking out against the SBK Breast Cancer Foundation making the decision to no longer fund Planned Parenthood. I was a Family Planning Nurse Practitioner and worked at 2 Planned Parenthoods as well as the Clinic Coordinator/ Nurse Practitioner at another Family Planning Clinic. Through this work I picked up MANY breast lumps and referred women onto further services. It was while working at the clinic one evening, following a discussion with a physician regarding a lump I just picked up on a client, that I realized I needed to follow up on an old “cyst” I had. It was cancerous. I believe this “early detection” following this discussion had an impact on my long -term survival. I feel proud as a Nurse that I also had an impact for other women in detecting lumps early, sometimes not so early, and led them to medical services through my work at these clinics. I am sure I do not need to explain to the SBK Breast Cancer Foundation Board and staff, but will strongly reiterate, that Planned Parenthood and Family Planning Clinics are the “entry level” for many women into primary health care services and for some women may be the only source of health care services. They provide vital services, particularly addressing accessibility, affordability and acceptability issues, which are key components to people receiving care. That is what Planned Parenthood provides to women. Planned Parenthood needs all the support they can receive within this very hostile political environment, including a Congress passing legislation to let some hospitals be okay to turn women away in the throes of a medical miscarriage, as it may be considered an abortion. This is almost too hard to grasp. We need organizations committed to women to stand together to counter-act this assault on women’s rights and their access to women’s unique health care. We need the Susan B. Komen Breast Cancer Foundation to re-assess this decision and re-join us to ensure we go forward and stay strongly committed to the goal to provide breast cancer detection and services. Planned Parenthood more than assists you to meet this goal. Komen has been less than a true friend of women’s health for quite some time, as BCA has pointed out with the brilliant “Think Before You Pink” campaign. I hope that people outraged by this latest move will send $$ directly to Planned Parenthood and BCA in addition to registering displeasure with Komen. With the recent revocation of funds to Planned Parenthood for early breast cancer screenings, I’m interested in finding another place to donate my time and money. Is there any information for BCA regarding operational costs and how donated funds are divided? Wait a second. Planned Parenthood distributes oral contraceptives. And we know that oral contraceptives are a Class 1 Carcinogen that do increase the risk for breast and other cancers. Shouldnt we be applauding this move? Dont women deserve the TRUTH about the causes of breast cancer rather than giving them pills that increase their risk? I mean really? 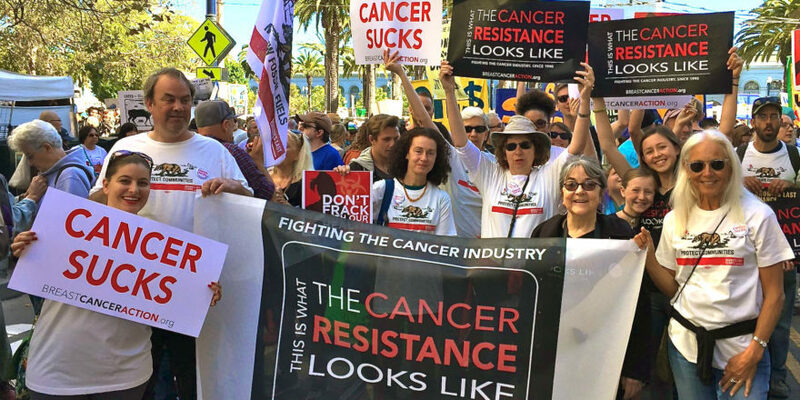 Lets be pro-active here and work to educate and eliminate cancer causing agents in society rather than feed an organization that contributes to the increase in BC rates.. I see you removed my well-researched remark today. Everything I said is true and I have documented sources.